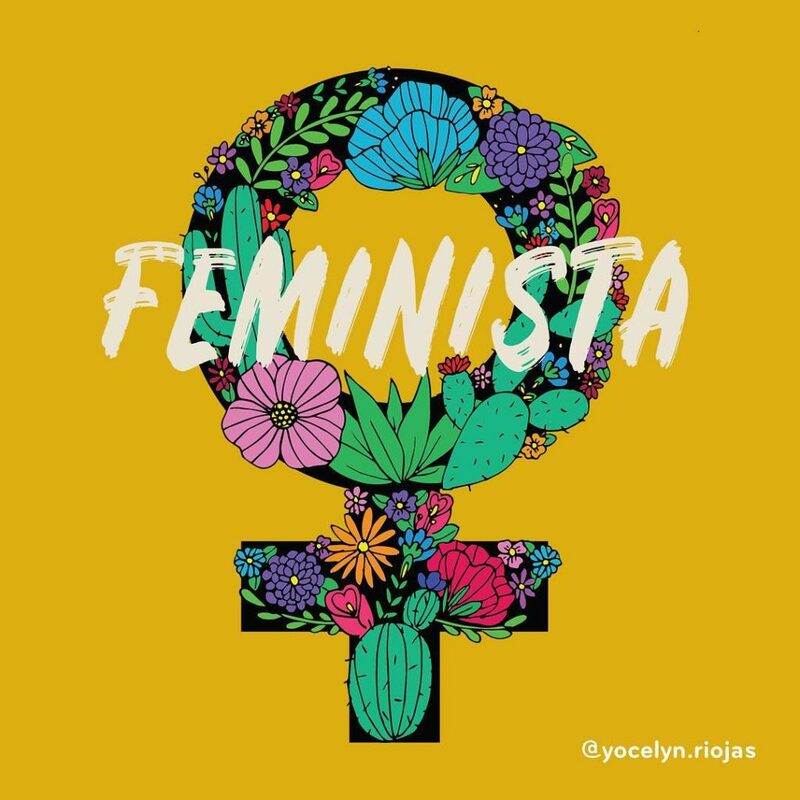 Yocelyn Riojas is a Latinx designer, illustrator, and resistance artist passionate about empowering her community through creating a voice for people of color. Her art depicts themes of Latinx culture, women empowerment, and issues surrounding immigration. Yocelyn currently lives in Austin, Texas and is pursuing her Master of Fine Arts at Texas State. Recently, she has been gaining momentum amplifying political messages in support of people of color through art. I was fortunate to find Yocelyn’s artwork on Society6 where I purchased a beautiful art print of Virgin de Guadalupe. In our interview, she shares the inspiration behind her beautiful artwork and her advice for womxn of color and of the arts. Tell us about your background and the road that led you to become a designer and illustrator. I’m Yocelyn Riojas a Latinx designer and illustrator with a focus on social impact. I grew up in in a small border town in southwest Texas called Eagle Pass across from Piedras Negras, Coahuila, MX where I was born. I’ve been working ever since I could hold a pencil in my hand with a passion for giving back to the Latinx community. My upbringing has and continues to influence my work. 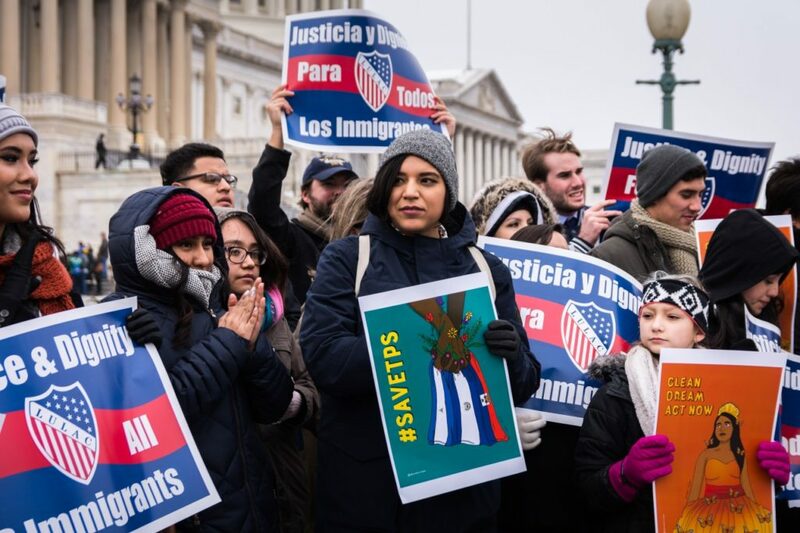 My parents are first-generation migrant workers turned attorneys, so I’ve always been surrounded by the topics of cultural identity and immigration. Then growing up in a small town where people tend to be accustomed to old ways of thinking I’ve learned what I love about my people and what progress still needs to be made. My illustrations reflect my sentiments of home, community, identity, social justice, and women empowerment because I’ve never fit the mold of eurocentric beauty or the gender role I should be playing. Do you sketch your designs by hand first, or do you design all digitally? Everything begins in my sketchbook. I have an idea or a feeling I want to express, so I begin to illustrate those thoughts in pieces like a puzzle. Afterward, I start to layer those images and transfer them over to Adobe Illustrator. Working in a digital format is my preferred medium because I find it more efficient to execute the imagery into print or various forms when needed like for campaigns for example. For me paint, canvas, and space has not always been a luxury I could afford. You work with what you got, and this has been working for me just fine. You passionately empower your community by creating a voice for people of color through art. Was it always your main goal to use art as an outlet for expressing yourself? To be honest, I never sought to create this safe haven of inspiration for myself or others through art. The only thing I knew was I wanted to tell stories where I could see people that looked like me or spoke on issues I could connect with. I’m going to tell you here, and now it’s not Frida Kahlo! For me, it will always be mi abuelita. She’s the woman that raised me throughout my childhood and continues to educate me through the stories of her life experiences. She always reminds me to live for myself and rely on no one else because I’m the only person who can guarantee my own happiness. The renewed discussion of feminism is playing a significant role in today’s society. What is your personal advice for women on how to work less competitively and more collaboratively in their respective field? Instead of competing with each other focus on building a network with the women in your community. They’re the ones who will vouch for you, cheer you on, and connect you with new opportunities. As a Latina, your artwork inspires me to live unapologetically while being proud of my heritage. Why is it essential for you to spread this message within your art in today’s world? We’re taught early on that to get ahead you need to speak English, have no accent, dress normal, and assimilate as not to make others uncomfortable. Then in school, you start to question why am I only learning about white history and not seeing faces that look like mine in the media succeeding. Honestly, I think I just hit a breaking point and said F all this. The nopal lives strong on my forehead, and I can’t hide it. My cultural identity if a part of me, so why not embrace it? It’s funny because I love wearing traditional clothing and people from both sides of the border find it rather odd. But, for me, it’s when I feel the most like myself and beautiful. Tell us about some of your past work and collaborations. Are there any projects that you feel are your most significant accomplishments? I’ve done a lot of work with Jolt in Austin, TX. They were some of the first people that took notice of my voice and gave me a platform to explore it. My favorite project will always be the Migration is Sweet butterfly installation because I got to grow with a group of random acquaintances from various backgrounds who later became some of my great friends. Congratulations on your recent TED Talk! Tell us about your discussion and how other artists can amplify voices to inspire social change through art. Thank you! It was a new challenge for me to speak to a broader audience on my own. My TEDx Talk is about how my life influenced my path into creative resistance and why it’s important to use art as a social tool to help others amplify their voice because oppressed will always be the ones best to tell their stories. As artists or creatives, we have to remember we are there to help elevate others and not our own needs. Do you have any advice for aspiring artists and entrepreneurs? Start. Don’t sit at home waiting for something to come to you. You’ll figure it out along the way and meet people who will help you on your journey. A woman who isn’t afraid to succeed.